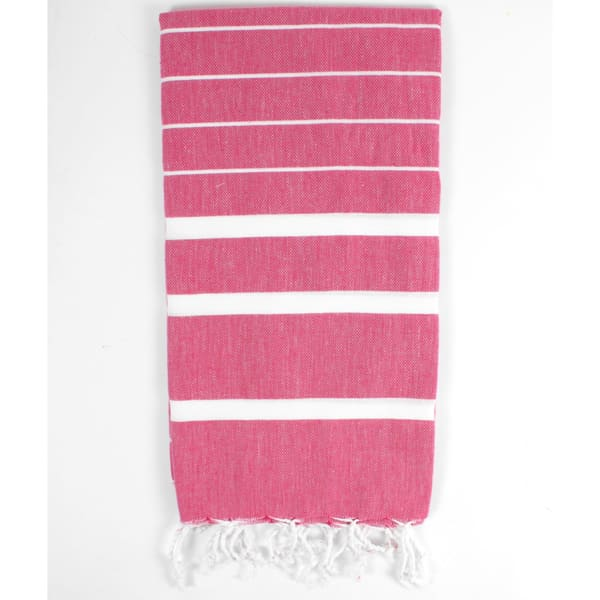 These Turkish Hammam towels are wonderfully light so easily packed and quick drying. Beautifully bright, they make the perfect beach towel or sarong. Or forget the heavy picnic blanket and take this instead. Ethically handmade in Turkey. This one in magenta pink with traditional white stripes.